5. 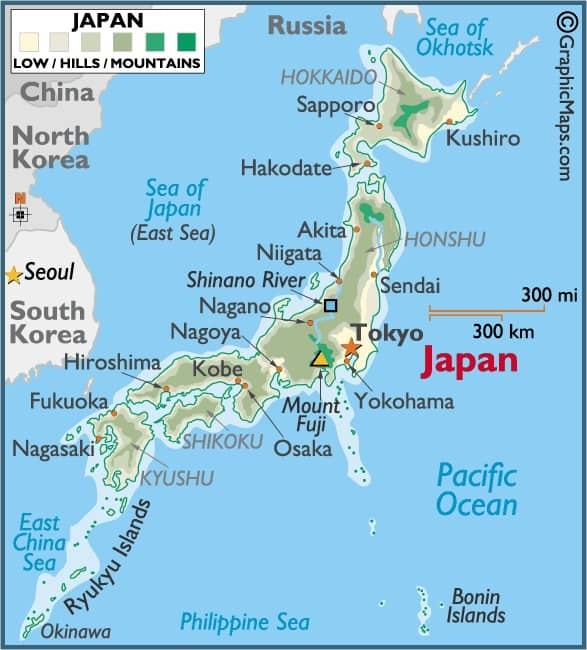 Geography: Mount Fuji Is Surrounded by 5 Lakes! 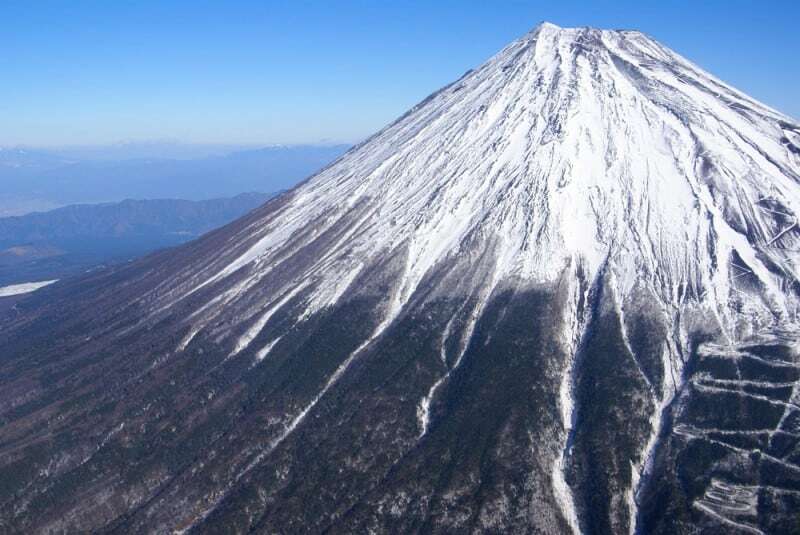 The first of our Mt Fuji facts tells us that there are four different trails climbers can take to the summit. These trails are known as Yoshidaguchi, Subashiri, Gotemba and Fujinomiya. Each of these different trails has 10 stations which provide people climbing the mountain with provisions and basic rations. These stations are placed at regular intervals throughout the trail – the first being at the base camp, and the 10th at the summit. Aside from these four main summit routes, there are other mountaineering routes for those who are more experienced. The most popular route to the top is Yoshidaguchi. Climbers using this route can expect to take between eight and 12 hours to reach the top. Mount Fuji facts show us that the main crater has eight peaks. 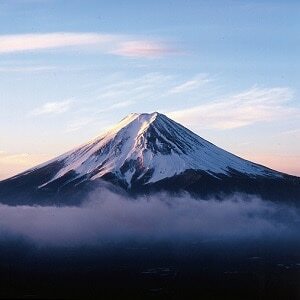 The highest point of Fuji also happens to be Japan’s highest point too. Those who opt to climb the Yoshidaguchi trail to reach the summit will find that it is at the opposite side from their ascent and therefore might take an hour or so longer to reach. If you wanted to walk around the crater’s edge to all the different summits it would take you roughly two hours. It is one of the few mountains in the world that climbers will make a pilgrimage to. Statistics tell us that of the 200,000 people who climb to the summit each year, 70% are Japanese and the other 30% are foreign climbers, mainly from Europe and the USA. Though Mount Fuji itself is one giant conical shaped volcano, it also has two other active volcanoes within. The first of these is Komitake at the bottom, and the second is Kofuji in the middle. Fuji is the main volcano at the top. Mount Fuji Is Surrounded by 5 Lakes! These lakes are called Kawaguchiko, Yamanakako, Saiko, Motosuko and Shojiko. Mt Fuji facts tell us that these lakes are around 1,000 ft above sea level and provide people visiting the area with the best vantage point from which to view Mount Fuji. The first of the lakes, Kawaguchiko is the one that is best suited for tourists as it offers the most amenities and things to do. The others are not quite as well developed and are not always hospitable or suitable for travellers. This is one of the shortest climbing seasons for any mountain in the world. Climbing season starts at the beginning of July and ends as the month of August finishes. This is due in part to the climate changes and temperatures in the area. In July, when climbing is allowed, daytime temperatures will be no higher than 41°F. In August, temperatures rise no higher than 44°F. Another one of the most interesting Mount Fuji facts is that scientists and geologists have discovered volcanic activity on four different stages of the mountain. 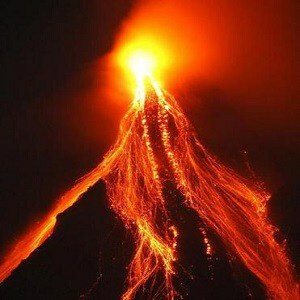 The first stage at which volcanic activity can be seen is known as Sen-Komitake, deep inside the mountain. The second stage is Komitake-Fuji, which was formed in ancient times. Over Komitake-Fuji stands Old Fuji, and then the last stage is Mount Fuji itself which was formed over 10,000 years ago. The last real eruption occurred in 1707 and lasted for a month, extending into January 1708. 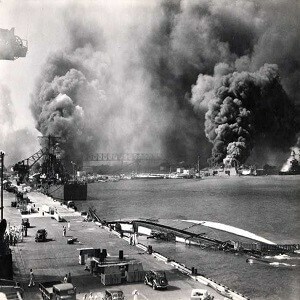 Contemporary reports suggest that at this eruption, coal and ash flew out of the summit “like rain”. 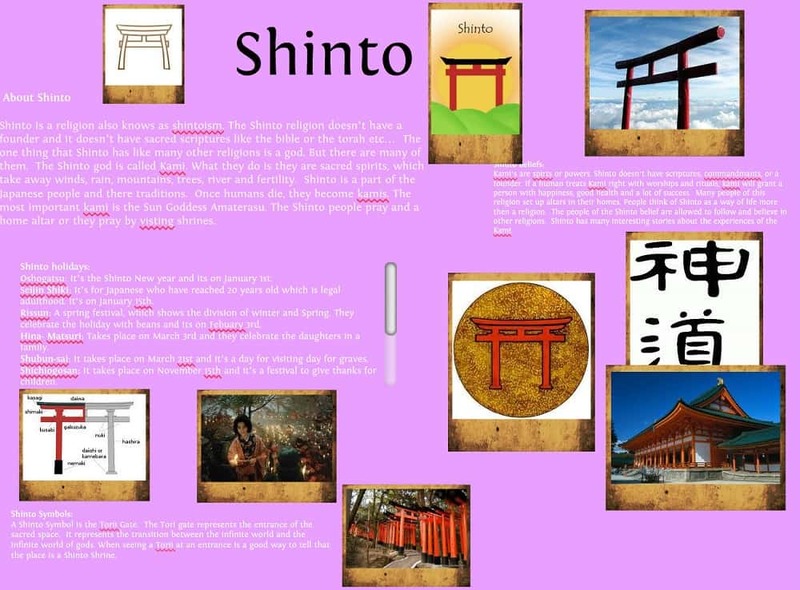 Shinto is the main faith in Japan and has been in existence since the 7th century when the first known ascent of Fuji took place, by an unknown monk of that religion. There are Shinto shrines dotting the base and also marking the various ascents of Fuji. Princess Konohanasakuya is the main deity of Mount Fuji and her symbol is cherry blossom. There are many shrines to her at the base of Fuji, and it is estimated that across Japan, there are 1,000 shrines to her in total. One of the interesting geographical Mount Fuji facts is that it exists as part of a national park in Japan, called Fuji-Hakone-Izu. This is the most visited national park in the country. It is actually part of a wider area of some 186 miles of Tokyo city. As well as being home to Mount Fuji, it is also the place in which you will find many historic sites, such as the Old Tokaido Road, which is a preservation site for rest areas that have served travelers to the area since the 17th century. Alcock’s ascent took place in 1868, and it is claimed it was the first by a foreigner. Alcock made the ascent in eight hours, and the descent in three. He made a written record of his achievement, and called it The Capital of the Tycoon. He had been appointed British consul in Japan 10 years before he attempted the climb. Alcock died in 1897 at the age of 88. One of the truly astounding Mt Fuji Facts is that women were actually forbidden from climbing the mountain until 1912. This rule only came to an end when the Meji Era concluded in the same year. The Meji was a time of transition for Japan that saw the country leave behind its feudal origins and move towards a more modern and accepting culture. However, there are records which show that a woman did make it to summit in the pre-Meji era in 1867. Lady Fanny Parkes was recorded as reaching the top of the mountain in 1867. One of the most interesting Mount Fuji Facts is that, in Japanese culture, it is seen as a real place of good luck and good fortune. In public baths and swimming pools across the country, colorful paintings and images of the mountain are often displayed. 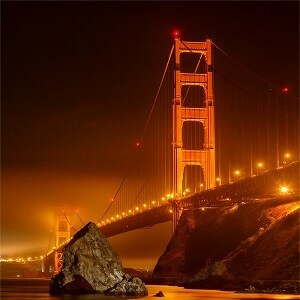 The idea is that people feel instantly calm and relaxed when they see the mountain. However, the images are only considered to be good luck if they do not depict the volcano erupting! Not many people know this, but the mountain is actually privately owned. However, it isn’t owned by a corporate conglomeration or a businessman who simply acquired it because he wanted it; it belongs to the Fujisan Hongu Sengentaisha Shrine. They acquired it in the year 1609 and will own the uppermost part of the mount forever. Shinto priests who practice at the shrine say, however, that Mount Fuji belongs to the world and not one individual person or group. 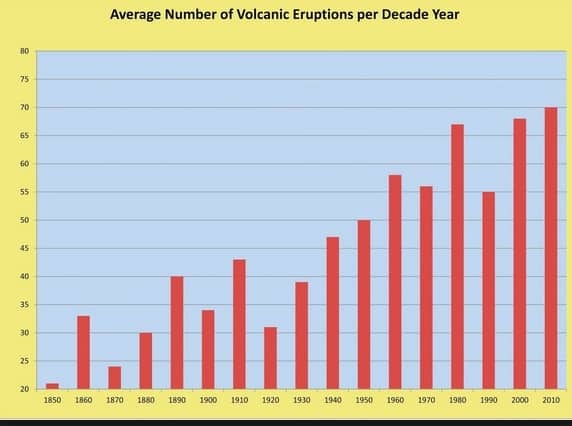 Since the 8th Century there have only been 10 documented eruptions. The last one was 300 years ago, and scientists and government officials are worried by the length of the mountains dormant period. There has been a plan put into place to cope in the event of an eruption and this is estimated to cost $21billion. If Fuji did erupt, around 8,000 people would have to be evacuated. However, this figure would rise to 11,000 if the eruption occurred during the mountain’s rainy season in June. It is estimated that as many as 12.5 million people would suffer health problems as a result of the volcanic ash from the eruption. Though Mount Fuji is an instantly recognizable symbol of Japan, and has been depicted in art for many centuries, many people don’t realize that it is also used by modern companies as an easy-to-recognize image for their products. One of the main exponents of this is the technology company Atari, who use a very stylized version of the mountain as their company logo. This is one of the surprising Mt Fuji facts. The main reason Mount Fuji is not a UNESCO World Heritage Site relates to the vast numbers of people that visit in a short space of time. As the climbing season is only two months long, it leads to a lot of people visiting and dumping their garbage in a relatively short period. The infrastructure cannot cope with this load and, sadly, the forests that surround Mount Fuji have become a giant trash can. This sad fact means that although it is essentially a very beautiful site, it cannot be granted Heritage Site status. The list of facts about Mount Fuji tell us that it is made up of three different volcanoes, has eight different peaks, and that 200,000 people attempt to climb it in the space of two months every year. It is considered to be a dormant volcano but could erupt at any time and, although it is an area of intense beauty, it cannot be considered a world heritage site because of the level of rubbish and environmental damage that occurs during the short climbing season.